Copyright Law is an obscure subject for many. It combines antiquated laws with a myriad of artistic individuals and dares them to gleam from the text its true meaning or intention. The notorious use of mis-leading phrases such as “innocent infringer” furthers the confusion. It leads one to believe that intent is necessary for the infringement of a copyright. When, in actuality, intent is not a determinative element of copyright infringement. In fact, intent in a copyright infringement claim is not a part of the analysis. This article further highlights the misconception. Section 504(c)(2) of the 1976 Copyright Act provides for an “innocent intent” response to claims of copyright infringement. 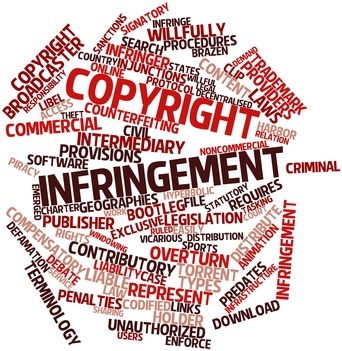 Its use does not preclude the defendant from being found in violation of copyright infringement, but if found in violation, it allows the court flexibility to reduce statutory damages below the minimum. It is important to note however that proving innocent intent on the part of the defendant is not easy. The Defendant must show that they did not know and that they should not have known that their conduct constituted an infringement. The Defendant’s belief must be both in good faith and reasonable. A few examples of where “innocent intent” may be found are: 1. Defendant’s work is based upon an infringing work furnished by a third party; and 2. Defendant consciously and intentionally copies from the plaintiff’s work, with a good faith belief that the conduct is not infringing. This entry was posted in Intellectual Property Law and tagged copyright, infringement, law.